With a large extended family that frequently hosts parties for 30+ people, these homeowners wanted a simple, stylish, and spacious kitchen to accommodate several cooks at once. 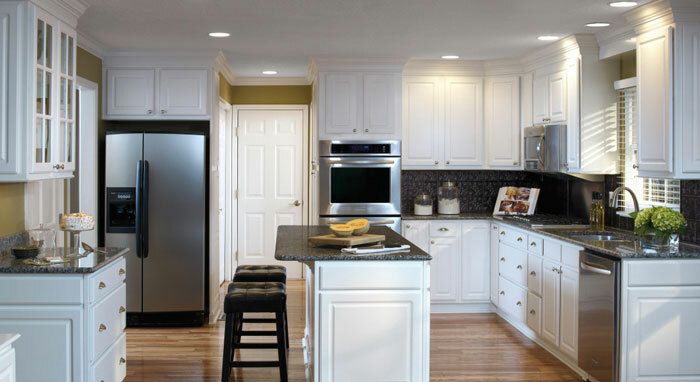 They also wanted great-looking, functional cabinetry that would complement their home's traditional furnishings, yet be comfortable to use with children. 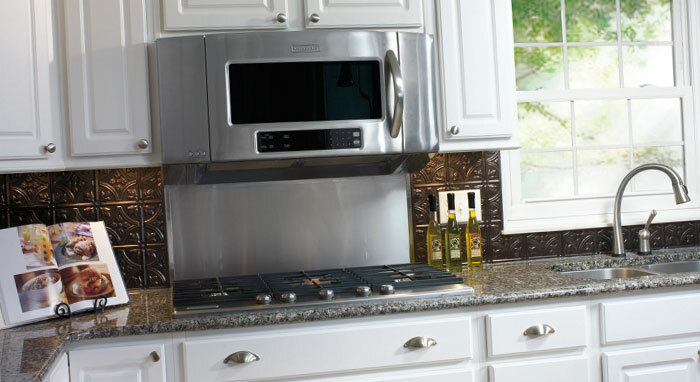 They found the perfect answer in Aristokraft Cabinetry. 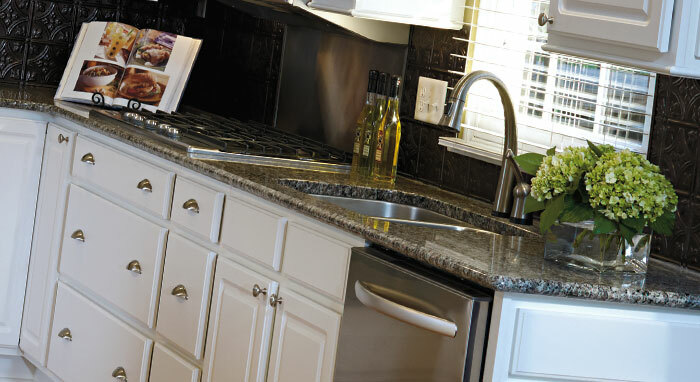 Aristokraft designer Thomas Mehaffey created a hardworking hub to meet this family's needs. Kids and friends can gather at the island, a great place for snacking, homework and making cookies. At the walls, beautiful two-step crown moulding disguises a plumbing stack that needed to be moved from counter to ceiling height to accommodate the kitchen remodel. Other elements include rollout drawers in the pantry and island, ample storage beneath the cooktop, and easy-to-clean cabinetry throughout.